What sets the Steadicam Air apart from any other monopod is that it's gas lift and spring activated. 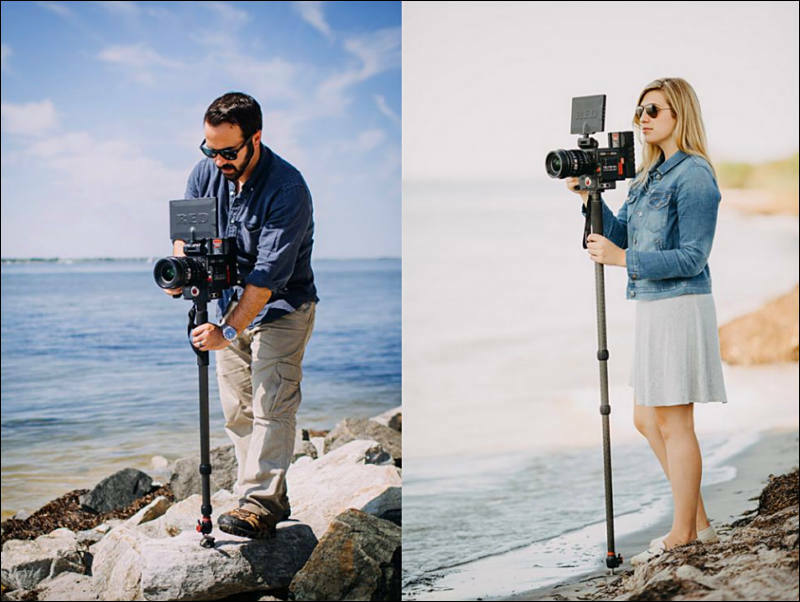 Weighing only 3.5 lbs, the Steadicam Air is made up of three sections including one twist leg lock that allows for a 360 degree rotation. The height adjustment is activated by the rubberized foot pedal which allows for a non-slip operation. (Cape Canaveral, Florida) Elon Musk, CEO of SpaceX claims that the new Steadicam Air with 100% gas lift has accidentally launched over 6000 video cameras into low earth orbit, interfering with SpaceX rocket launches. SpaceX must remove these orbiting cameras so it can resume launches. Musk has asked all major camera manufacturers to add a bluetooth rocket engine to all cameras so they can return to earth safely or Steadicam should just stop selling these damned pogo sticks! Minimum height is just under 1 metre. Also another major issue. It also does not have wide feet meaning I would never risk leaving it unattended. The perfect monopod for me is the Sirui P-424 with a gas lift system. Minimum height 60cm. Maximum height 170cm. Weighs 3kg and supports 10kg. Sirui P-424 with a gas lift system.